Bought this cartridge from a fellow messageboarder.. not sure why, but everyone said it was great... so I had to have it. Quite honestly I hardly even looked at it until today and it really does have a lot of great things on it. 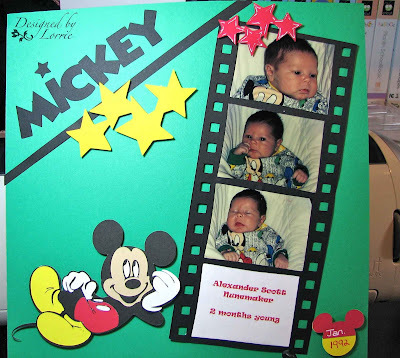 I found these pictures of my son wearing a Mickey outfit, so here's what I came up with.